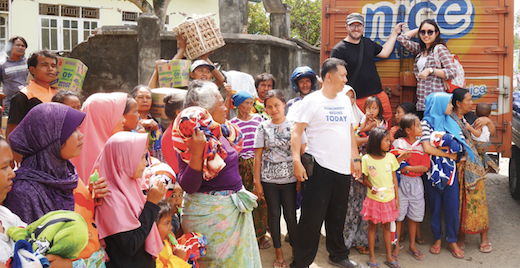 A field report from Patrick Jones who is leading our relief effort following the devastating earthquakes that struck Lombok, Indonesia. Last month something happened that happens every few months. I woke up, turned on my phone and found out that there was an earthquake in Indonesia, the country I now call home. The funny thing is, I didn’t find out from a local weather service. I didn’t find out from the news. I found out because a friend in America saw that there was an earthquake and sent me an early morning text message. He was afraid that I was dead. Luckily for me and my family, Lombok is over 800 miles away from where we live. But this earthquake was different because my family and I have been to Lombok close to a dozen times. We have friends there. We have church connections there. We vacation there annually. And we were scared. On Sunday, August 5, a magnitude 7 earthquake hit the northern tip of Lombok and flattened the rural villages that house most of the locals. Mataram, the main city, experienced everything from minor nuisances to collapsing buildings. The local tourist hub of Senggigi essentially shut down. The problem with earthquakes in developing countries is that the local infrastructure is built with only one thing in mind: cost. Huts, houses and buildings are made to be cheap. Even a minor earthquake can cause considerable damage. But this earthquake wasn’t minor. The August 5th earthquake was stronger than the 1989 earthquake in San Francisco. And it hit an island that has more bamboo and sheet metal huts than it has houses. I instantly contacted my friend Eko, who works at a local church in Lombok. Though Lombok is, like all of Indonesia, predominantly Muslim, many other religions live peacefully here. And when something like this happens, the beauty of co-existing religions really shines. 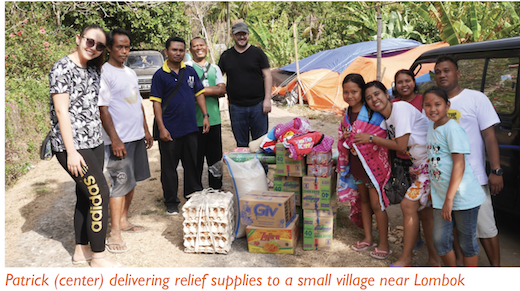 Five days after the earthquake I was able to travel through Lombok to villages and refugee camps and distribute items provided by CRF donors — 10,000 eggs, 20,000 boxes of noodles, bed rolls, soap and cooking oil. The majority of the people that received these goods were Muslim. It was my joy to be able to tell them that all of the gifts were from my Christian friends. My Christian friends in America. They were shocked. And they were grateful.  At Christian Relief Fund, the full amount of donations for Lombok go to Eko and the church where he works. They have partnered with local businesses to help out people in villages that no longer have houses. One business even lent him a semi truck! I still wake up to early morning text messages. In fact, it’s happening more and more. But now they’re from Eko. They’re pictures, too. Pictures of people with soap. And eggs. Beds and blankets. And they have one more thing that I know we couldn’t ever hope to buy — smiles.